A conference calling for the restoration of the pre-Ghadaffi "Independence Constitution" and of the Monarchy has started in Tripoli. The discussions are about re-establishing governmental legitimacy and placing Crown Prince Mohammed Al-Hassan Al-Rida Sonoussi on the throne. I wish the Libyans well and certainly believe that a return to traditional monarchy would serve the people better than failed republics. Thanks for posting this information. It is curious, by the way, that the article comes from the Chinese government news agency! I sincerely hope it can be done, if only so that some good comes out of it all. While it is true that Gadaffi improved the economic condition and living standards of the Libyan people quite considerably, he was also a particularly brutal dictator who ruled by force and terror, responsible for many wicked crimes in Libya and abroad. I don't think he's an act anyone should want to follow. Also, this is in case you haven't noticed a monarchist forum. And it was in fact Gadaffi who overthrew the Libyan monarchy. Praise of him here is I think not altogether appropriate. Gadaffi policed the Mediterranean and kept the whole of Africa at bay. This is quite laughable. He did not police anything at all. He worked hard to support terror organizations around the world, promoted revolution in sub-saharan Africa and turned Libya into a pariah nation (a rich pariah, but a pariah none the less). Do you really imagine that he was holding back hordes of Africans desperate to overwhelm Europe? What would be his motive, to save European civilization? This man who funded and gave sanctuary to terror groups like the Red Brigades, the IRA, and various militant movements for the liberation of Palestine would hold back "the whole of Africa" from sweeping north? Clearly you fail to understand who Gadaffi was, and what most Africans want. I am also a monarchist. But I am also a realist. You need to read about the fate of the Iraqi monarchy in 1958. The royal family was brutally murdered. One uncle managed to survive and the Iraqi monarchy is now represented by his family. Mohammed needs to get a wife firstly, and have children with her. The Libyans will not respect a 55 yr old bachelor. He will need to get on with the Bedouin tribes who inhabit the region. His family the Senousi are very popular in their homeland of Cyrenaica, but not necessarily in Tripolitania. 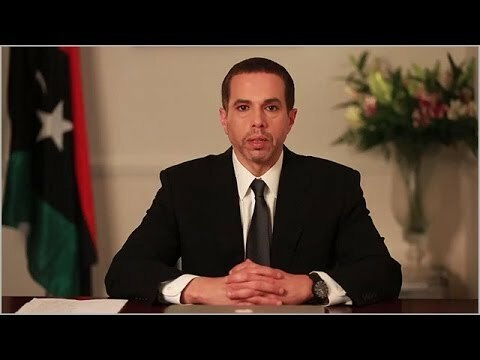 He will nee dto be a strong personality and one who can instill law and order- and also prosperity for all Libyans. Gaddafi was a tyrant but a very popular one who provided healthcare, education, and housing for his subjects- and a generous wedding present for each married couple. What NATO did to him was not right- and now ALL of Western Europe has to suffer for it. Why?? Lets see. Maybe he can unify the country and restore order. Time will tell. Arabs are fickle when it comes to loyalty- you really have to earn it in Arabia. Queen Elizabeth and Prince Charles would not survive in such an environment. Time will tell. Arabs are fickle when it comes to loyalty- you really have to earn it in Arabia. Queen Elizabeth and Prince Charles would not survive in such an environment. That's a very broad generalization about Arabs. Jordanians have been largely loyal to their royal house even though it was imported from Hejaz. The Saudis and the Emiratis, the Qataris and the Kuwaitis as well. They don't seem fickle to me at all. Queen Elizabeth and especially Prince Charles are inflicted with plenty of fickle traitorous Brits, so that doesn't hold water. You need to read about the fate of the Iraqi monarchy in 1958. The royal family was brutally murdered. I am quite familiar with what happened with the Iraqi Hashemites. Not sure what that has to do with Gadaffi being the guardian of Europe from African hordes that you made him out to be. The Libyans will not respect a 55 yr old bachelor. He will need to get on with the Bedouin tribes who inhabit the region. His family the Senousi are very popular in their homeland of Cyrenaica, but not necessarily in Tripolitania. This is one point that I can sort of agree with, but you will note that this conference about restoring the monarchy is being held in Tripolitania. Gaddafi was a tyrant but a very popular one who provided healthcare, education, and housing for his subjects- and a generous wedding present for each married couple. What NATO did to him was not right- and now ALL of Western Europe has to suffer for it. Gadaffi was a hated tyrant, and while NATO's involvement (from the air) turned the tide against him, he faced an uprising of his own people caused by their hatred of him and his decades of brutality. You will recall that Gadaffi was beaten and sodomized before being shot dead by a vast enraged mob of his own people. I see no reason to mourn anyone responsible for funding the IRA and other terrorist groups. Yes, the situation in Libya is appalling, but it doesn't obscure the nastiness of the Gaddafi regime and others that sponsored international terrorism. Where there is oil, money is concentrated. Gadaffi made sure his parents lived in a tent til everyone has a house. If I had been Bush, I would have offered free petrol to Europe before invading Irak, courtesy of the US army and a deposed Gadaffi. Could have recruited much more support for a surge. Think the people of Libya need peace and quiet much more than their leaders need more wealth. A real King with the support of other Royals can achieve this. Rabbi Nachman calls it connecting the head to the feet. I think you are mixing up Iraq and Libya. George W. Bush invaded Iraq and deposed Saddam Hussein, not Libya and Gaddafi. I wish I was that naive. There came a time when the US had to do something and the choice to invade Irak was made. A moral decision, but not practical. Thanks for the preceding information and comments. At first glance, it would seem that Libya, in these troubled and chaotic times, would indeed need a strong, dynamic monarch and vigorous royal family who could enforce law and order in the turbulent nation. But on second thought, a quiet, unassuming, nonpolitical bachelor king, who could serve as a focus for Libyan national unity and patriotism, might actually work out even better. When King Sihanouk was restored as monarch of Cambodia, it was thought for quite a few years that he might be succeeded by his son Prince Ranariddh, who was very active in politics, and led a confrontational royalist political party opposed to Prime Minister Hun Sen. Instead, when Sihanouk abdicated in 2004, he chose Prince Sihamoni, an obscure, younger son, a bachelor with no political affiliations, as his successor. Sihamoni has since remained completely out of the tempestuous Cambodian political scene, confining himself to a cultural and ceremonial role. He hasn't designated an heir. This situation appears to have worked out quite well for Cambodia. The same situation might prevail in Libya. Presently, ever since Qaddaffi's overthrow, Libya has been in a state of confusion and chaos. A strong, forceful ruler at this time is likely to rule only until he's overthrown or ousted by another strong, forceful ruler. It will likely be years before any stable government will establish itself. In the meantime, a more muted, unobtrusive monarch representing cultural, historical, and religious traditions might provide some continuity and stability for Libya, while temporary governments come and go, until such time as the country is able to form an enduring and durable government. The lack of a clearly designated heir is disappointing, but it isn't insurmountable. The Senussi extended family is apparently large, and at some future time, an heir could surely be chosen. Oman has had a stable monarchy for quite a few years now, in the absence of any designated successor. It's hard enough to imagine the restoration of the Libyan monarchy under any circumstances, though we can always hope.